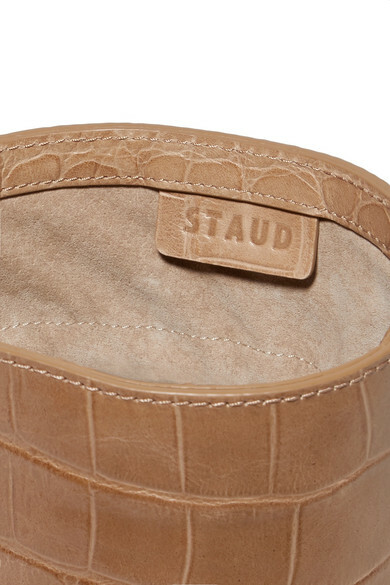 STAUD re-imagines its signature 'Bissett' bucket bag in a scaled-down silhouette and versatile beige color. 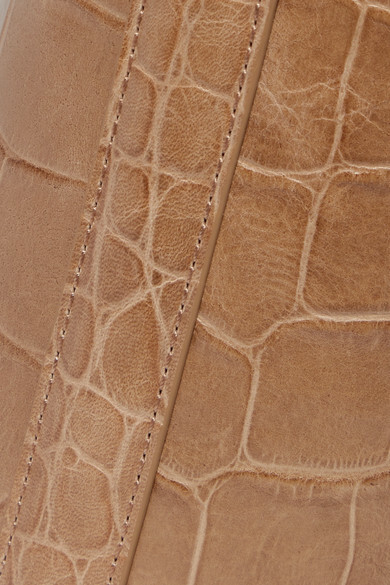 It's made from glossy croc-effect leather and has a suede lining with a drawstring closure. 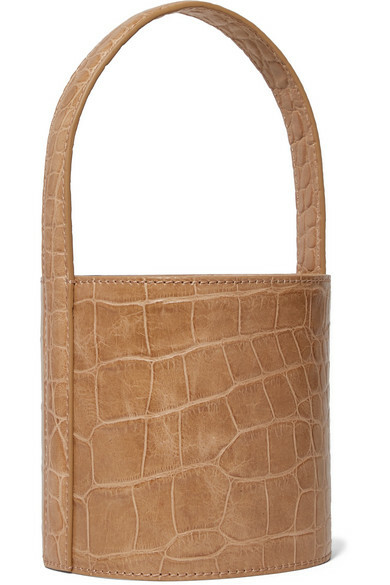 Carry it by the top handle or attach the optional shoulder strap to wear it cross-body. 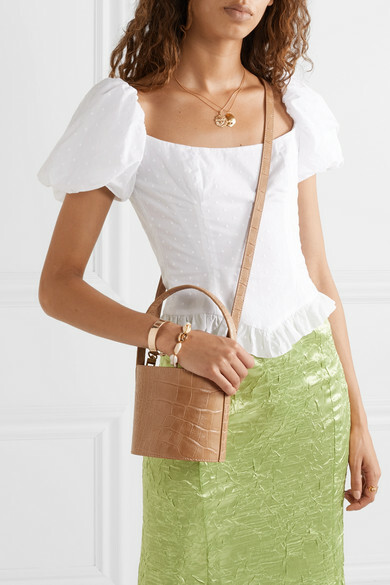 Shown here with: The Line By K Skirt, De La Vali Blouse, SIMON MILLER Sandals, Alighieri Necklace, Aurélie Bidermann Ring, Loren Stewart Anklet, Jennifer Fisher Cuff, Saint Laurent Necklace, Tohum Bracelet, Jennifer Fisher Ring.